In February we held our NSN Winter conference in Watford and God met with us in wonderful ways! You can watch our highlights video below to get a taste of what happened. Our winter conference is based on the same principles as our summer conference with lots of space to wait in God’s presence, to worship him, to pray for one another and to learn more about what the Bible teaches about being naturally supernatural. Whilst 2019 will be our final NSN summer conference, our church - Soul Survivor Watford - are hoping to continue running NSN winter events and are currently looking at venues for next year. We’ll keep you posted with more details as soon as we have them. 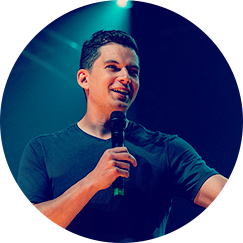 Andy is the Senior Pastor of Soul Survivor Watford alongside Mike and part of the leadership team of Soul Survivor ministries. He’s ordained and is the co-author of Lifelines and Everyday Supernatural. Andy is married to Beth, and dad to three boys so balances out reading heavy theology books by playing lots of Thomas the Tank Engine. Ali has been around Soul Survivor forever and is part of the Leadership Team at Soul Survivor and our associated church Soul Survivor Watford. She particularly loves helping speakers develop their communication gifts and is married to Joel, mum to Will and Esther. 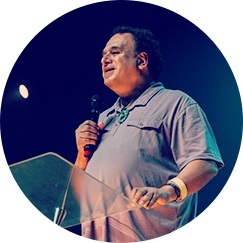 Mike started Soul Survivor and its associated church, Soul Survivor Watford over 20 years ago and remains Director and Senior Pastor. He’s hugely passionate about all of God’s people living in the power of the Holy Spirit and co-wrote Everyday Supernatural with Andy. Keri and Nick lead Commonwealth San Diego, a church in the heart of the city of San Diego, California. They love to see people and places impacted by the goodness of God's presence and to see people discover and step into their God-given design and purpose. Wayne is from Russellville, Arkansas, USA. He is a singer/song-writer and co-author of the book ‘He Still Speaks’ on the role of the prophetic in today’s church. You can check out some of the talks he did on hearing God’s voice at our NSN summer conference here. Beth has been part of the Soul Survivor and Soul Survivor Watford team for many years and is now a fulltime mum to Josiah, Judah and Caleb. Alongside leading worship and looking after her kids you can also find her busy with a new DIY project. Tom heads up worship at Soul Survivor and Soul Survivor Watford. He’s passionate about writing songs about Jesus and supporting Spurs. Tom’s married to Susi and is Dad to one year old Sonny, so he’s used to living on an hour’s sleep and a tonne of caffeine.